Regal Wins offers 24/7 customer support via live chat, telephone and e-mail, and is licensed by the UK Gambling Commission and the Alderney Gaming Control Commission. Regal by name, regal by nature? Very possibly. As soon as you land on the Regal Wins website you’re met with a dashing strike of gold which overlaps a matt black finish, creating a really beautiful and elegant look. That same elegance is reflected throughout the site, but there’s more to this casino than just the aesthetics. Navigation wise, Regal Wins hits all the right notes making everything easily locatable, and the filters for the games are excellent too. With 24/7 customer support as well, Regal Wins has everything nailed down to a tee. 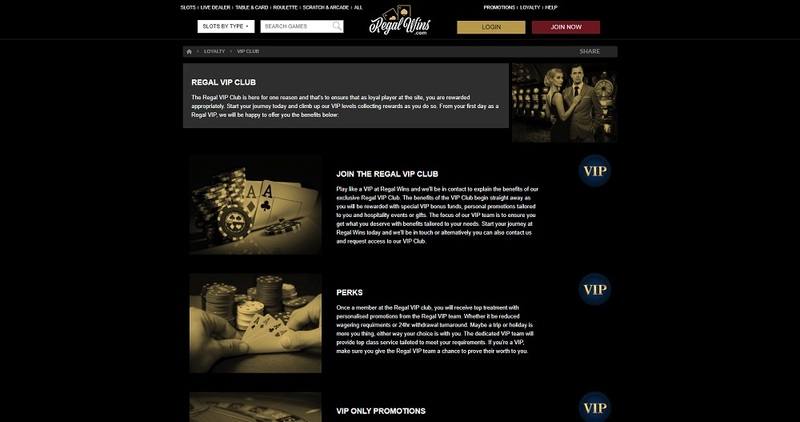 Regal Wins has a regal selection of payment methods available including Visa, Maestro, Mastercard, PayPal, Neteller, and PaySafeCard. 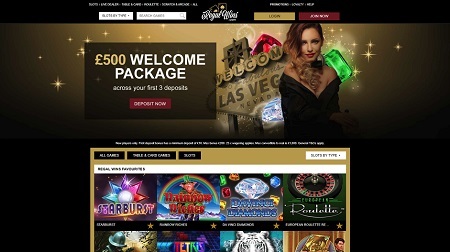 The minimum deposit is £10 and there is no maximum deposit, though one can be set. The minimum withdrawal is £10 and the maximum withdrawal is £1,000 per day, £2,000 per week, and £3,000 per month. 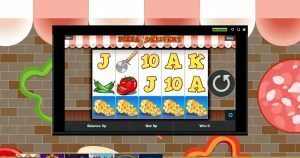 Regal Wins doesn’t offer the widest array of games, but they do offer quality, including all the favourite slot titles, plus big jackpot games like Divine Fortune, Fruit Bonanza and The Lost Slot of Riches. 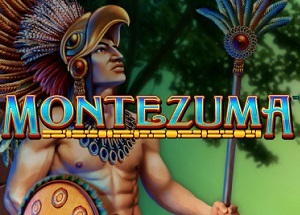 There’s also a host of the traditional table classics, instant-play games, plus live dealer on blackjack and roulette. The omission of live dealer on baccarat and poker is a little bit annoying, but you can’t complain too much because every other section is nailed. Regal Wins is simply a great place to game. 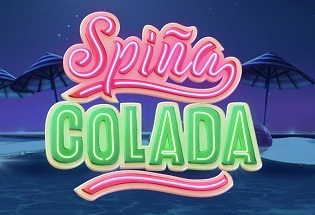 A beautiful looking site, this casino hits all the key features: it offers all the popular payments (including PayPal), it offers all the best games, the welcome bonus is pretty tasty, there’s 24/7 customer support, and the navigational is simple and straightforward. There’s actually nothing that lets this casino down. 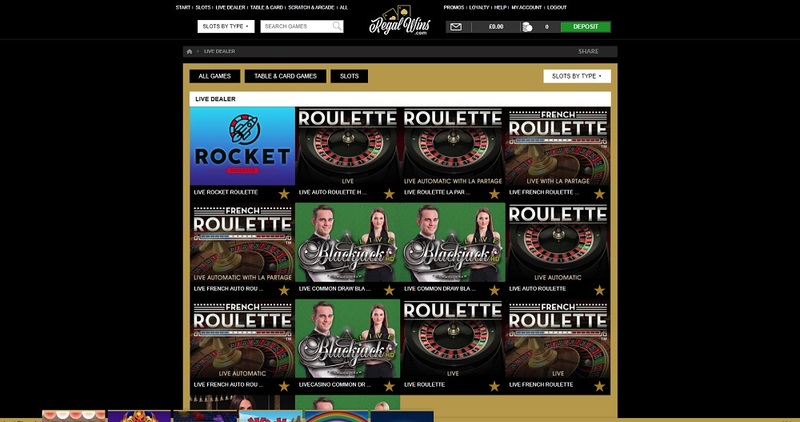 Perhaps there could be more live dealer games and more progressive jackpots (Mega Moolah and Mega Fortune are missing for instance), but really we’re only nitpicking. Regal Wins is a great all-rounder, it would be a decathlon athlete if it were competing in the Olympics, and it’d be a great addition to a field full of top talent.